Collecting silver coins also comes with its own set of responsibilities, and it’s recommended that every enthusiast and student of numismatics should be aware of these. By learning how to store and take care of the silver coins, then it’s easier to preserve its value and get the best offers once these are offered in the market. One creative way of preserving and handling the silver coins is by storing these coins in shield boxes like the Intercept Shield boxes. These boxes can help protect your coins from possible damages and scratches that may render your silver coins less valuable. There are other tricks and tips that you should keep in mind when storing and handling your silver coin collection. 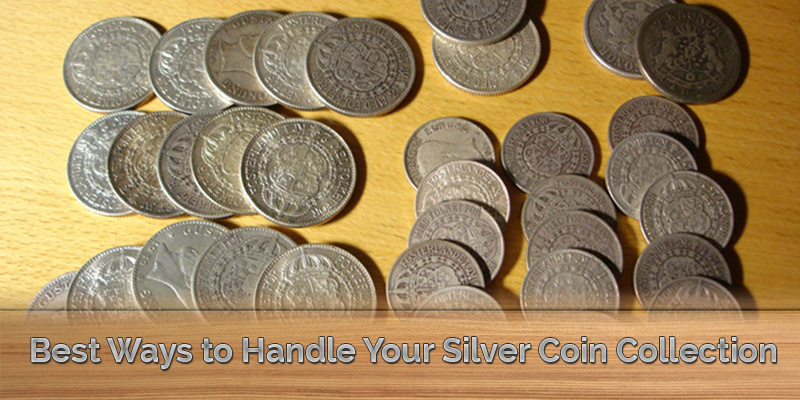 Learn where to store your silver coins, and handle these coins with care. Coins should be placed and stored in a separate area, and should not share the same space with food items. If you need to handle the coins right after preparing meals or cleaning the house, then it would be best to wash your hands first to wash out sweat, dirt and natural oil. By washing your hands, you can take out bacteria that may get in contact with the silver coins. Any unwanted materials and dirt that may get in contact with the coins can diminish the coin grading thus affecting its overall valuation in the market. It may help if you can handle the silver coins with care using cotton gloves. Washing your hands alone will not cut it; if you want to protect the coin’s condition, consider wearing the gloves and hold these by their edges. NEVER hold your silver coins on both sides since dirt and the fingerprints can leave lasting impressions on the silver coins. And if there’s a need to check and inspect the silver coins, make sure to lay down first the felt paper where you will lay down the silver coins. This extra srep can help protect your silver coin and in the process protect its overall value.